Ian White has transcribed the history of the Kemptville Oddfellows. 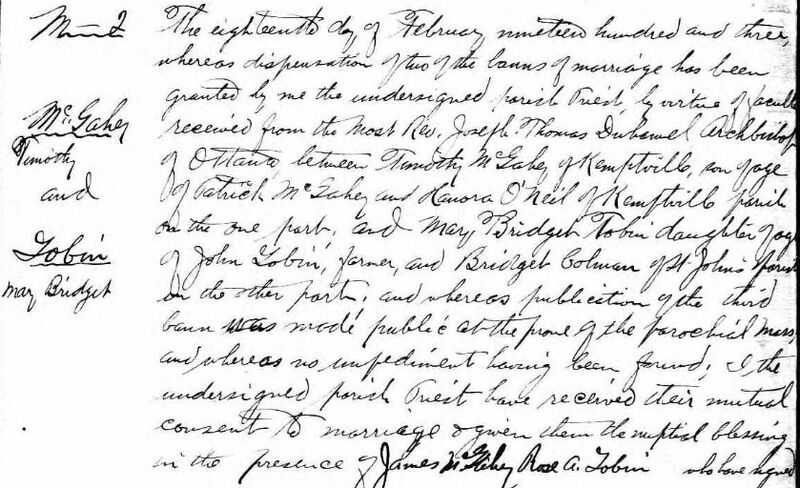 Mary Bridget is the daughter of John Tobin and Bridget Coleman of Osgoode Township. 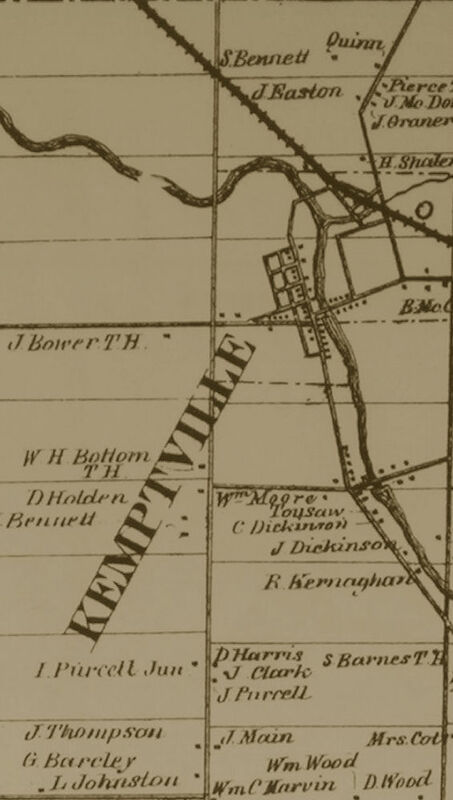 Rideau Canal system and, after construction ended in 1832, many workers settled in the Kemptville area. ISBN 0 9695303-1-5, contains a lot of early history of Protestant families in the Kemptville area. Oxford-On-Rideau Historical Society Historical Society, 1994, ISBN 0-9698516-2-6. Narcisse Turcotte, who drowned at Kemptville in 1829 was likely a worker on the Rideau Canal. 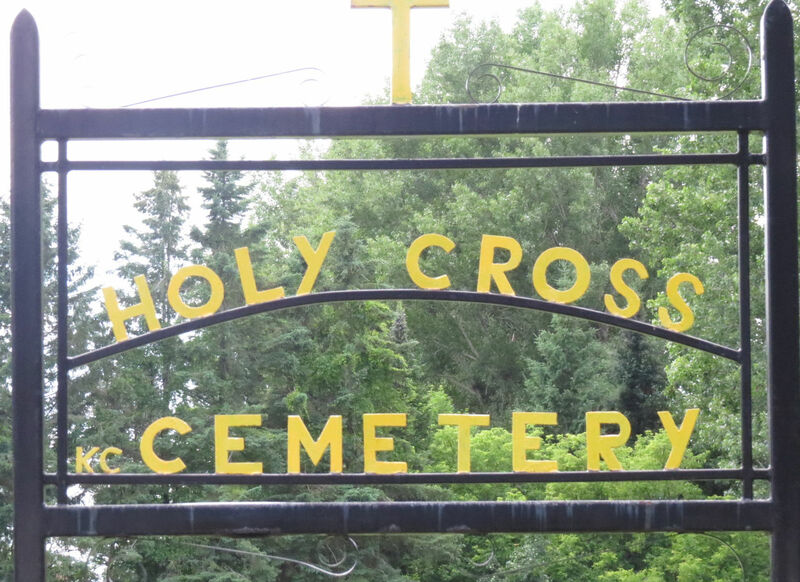 Burial in the Roman Catholic Cemetery of Narcisse Turcotte, drowned the 22nd at Kemptville, aged 26 yrs. Record Source: Notre Dame Cathedral in Bytown (now Ottawa), ancestry.ca. Note: There are many Turcotte folks in the Notre Dame reords, starting in the 1830's. Laplante family, and in Osgoode Township.